The Univac Solid State Computer 90, some instructions. The Operators console on the CPU. The instruction:   32 0N00 C  shifted the contents of rA and rX  N places to the right. (rA & rX): 0030000000 & 2000000010 after the execution of 32 0300 0455.
which caused the digits that were shifted out rA to appear in rX and those from rX into rA. and would bring zeros into the LSD (the least significant digit)  of rA. Digits that shifted out on the left-side (the most significant) were ignored. The shift-instructions were used to edit numbers to be printed or as a fast multiplication or division by 10. They were also used in floating point arithmetics. On execution of:   00 0012 0000  the USSC continued with (M), at address 0012 in this example. The 00 instruction was used in calculated-jumps or in table-organized-jumps. The jump-instruction used the M part for the address to continue, therefor this instruction could be indexed. For example: - 00 0400 0000,   + 04 0600 000 and  - 04 0800 0000   were indexed jumps. 67 was the Instruction-Code which halted the USSC. When stopped, the USSC displayed this stop instruction on the console. “ The USSC stopped at an error-condition identified by the number 3399". 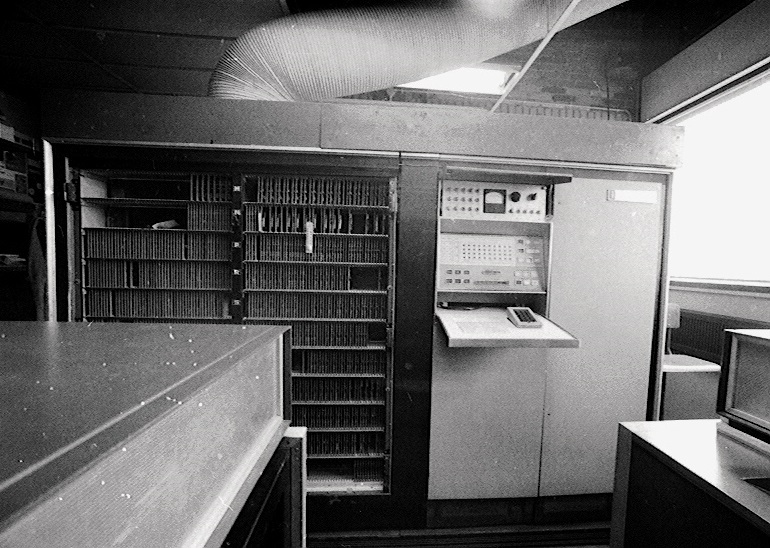 The operator then restarted the USSC by pressing the C-button and RUN and the program then continued with 3250. The stop instruction was also used to allow operators to make a choice in program-branching. By pressing the M - or the C -button (‘next address’) the operator could choose to continue with the instruction in (M) or in (C). since their patterns were easy to recognize on the biquinary display. The IC's 20 and 35 were described as superimpose and extract. Nowadays we would describe them as an logical OR- and an AND-function. The machine worked with four bit (numerical) code only, the machine code (MC). For Apha/numeric purposes like for printing and for punching names, there was an six-bit code available. This code, named Remington Rand-code (RR), was stored in two words, in two addresses or in two registers (rA & rX). When numbers had to be printed, they had to be converted from MC to RR. When numbers were entered on punch-cards, often they were coded in RR. To calculate with these numbers they had to be translated from RR to MC. When a number was going to be printed, all numeric zeroes were translated to printable zeroes. There was an instruction to get rid of the leading zeroes and the leading commas: 62. 62 - C = in RR (rA & rX) it replaced the characters 0001 0000 (0) or 1101 0010 (,) by 0000 0000 (space). the computer would detect an overflow on the end of the loop and would then branch to C+1. 82 tested on equality and 87 tested on greater then, both compared (rA) and (rL). 82 M C = continuation with (M) if (rA) and (rL) were equal, in (C) if they were not equal. Note that: 87  >   =<    (rA) : (rL)   could also be written as: 	87  <   >=  (rL) : (rA).